Denver’s premier dog training facility, Wag & Train, has teamed up with Victoria Stilwell Positively Dog Training to help you train your dog. Using positive, lure reward-based methods, visual cues, and body language, our instructors teach you how to communicate effectively and without force. 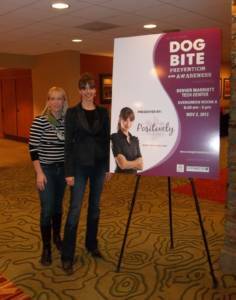 Wag & Train and Victoria Stilwell Positively believe that it is vitally important for owners to give their dogs the opportunities and the tools they need to live successfully in a human world. A dog that is given consistent guidance from an early age grows up to be a confident dog. Education brings security, security brings confidence, and a confident dog has no need to show anxiety-based behaviors. Because of our commitment to positive methods, and understanding of the importance of lifelong education, Wag & Train is the only facility in the Denver Metro area chosen by Victoria Stilwell herself to ensure you are getting the best in science-based, dog-friendly training. Our methods are like those used on her show, “It’s Me or the Dog”, and we are very proud to say we don’t use or condone shock, choke, or prong collars. 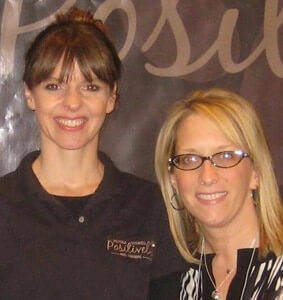 Member of the “Positively” dog training network created by Victoria Stillwell from “It’s Me or the Dog” on Animal Planet. We are licensed and endorsed by Victoria Stillwell Positively to ensure you are getting the best in science-based, dog-friendly training. For More Info Visit Link"
Our furry munchkin, Leopold Snuggles, aka 'Leo', was a 6 week old stray that we adopted from a rescue organization when he was between 10-12 weeks old. He was a super social and happy puppy who bonded instantly with us and our two year old. The two of them were (and are) best buds. Then around 14-months, he began exhibiting aggressive behaviors towards people and other dogs. His behavior on the leash began to deteriorate as well. We couldn't take him anywhere with us anymore, he was anxious about everything, and even bit two dogs (one very badly). His leash skills got so bad that we couldn't walk him anymore. And Leo is one of the most athletic dogs we have ever seen, so no walking just caused more anxiety, as he couldn't get any energy out. If we tried to have him in the front yard with us and a dog or person walked by on the other side of the street, Leo would go crazy! He also started becoming more anxious with our son. We debated on what to do as we have a little guy at home who Leo was giving some strong warning signs to. Calling Kari was our last attempt to keep Leo a part of our family. Kari was WONDERFUL from the moment she arrived. Leo took to her right away, and we could see how trainable he actually was within that first visit. She discussed with us the reasons behind his behavior and how to correct each behavior with positive methods only. No need for a prong collar or shock collar, and we were very relieved. Within the first month of working with Kari and following her behavior plan, we were able to walk Leo in the driveway and he was no longer afraid of people walking by. After three months or working with Kari, our big success is that we can take him on 15-20 minute walks. He does so well on the leash now. We even walked him in the middle of the street while two dogs were on both sides on the sidewalks with Leo completely ignoring them! We know we still have a lot of work to do with him, but we now know that Leo can stay a member of our family and that our son will be able to grow up with Leo at his side. As a college student living in an apartment, I was rather hesitant at the thought of getting a dog. The dog-lover in me eventually won over, though, and my boyfriend and I found a beautiful Shepherd mix in an ad by Ruff Rescue. The ad stated that “Wendy” was quiet and great for an apartment as she was small and well behaved. After meeting her for the first time at a local Petco we feel in love and took her home the very next morning. Taking her home for the first time, we realized that the ad had been a little off in terms of how Lily, formerly Wendy, actually was.